Whilst some people might be pushing for the reinvigoration of their coal industry, in particular across the pond (naming no names), British coal contributions, meanwhile, have fallen to a 135 year low this week. With its usage having halved since last summer, throughout the UK coal accounts for just two per cent of power generated in July this year, according to The Independent. Coal usage was as high as 22 per cent in July 2015, dropping to nine per cent last year and, thanks to higher carbon prices and a growth in renewables and gas, this years super-low level is set to drop even lower after the government pledged to cut coal usage entirely from power production by 2025. 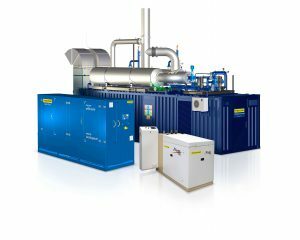 Combined Heat and Power systems operate from natural gas and with some of Tedom’s CHP range utilising greener, cheaper biogas. Helping to further distance the UK’s power market from coal, shentongroup is the sole UK and Ireland distributor of Tedom CHP units. With a unit to suit all sizes and types of organisations, click here to read our informative CHP white papers to learn more.